"My feelings are that in each family there is one who seems called to find the ancestors, to put flesh on their bones and make them live again, to tell the family story and to feel that somehow they know and approve. 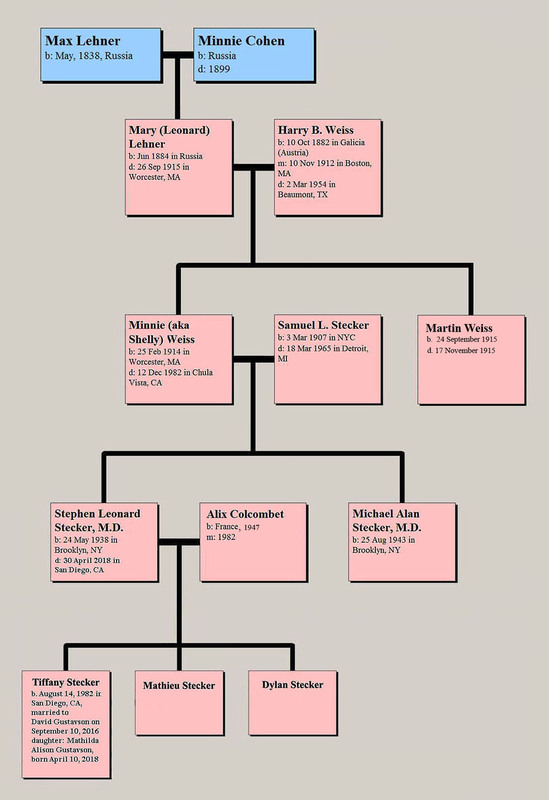 To me, doing genealogy is not a cold gathering of facts but, instead, breathing life into all who have gone before. We are the story tellers of the tribe. All tribes have one. 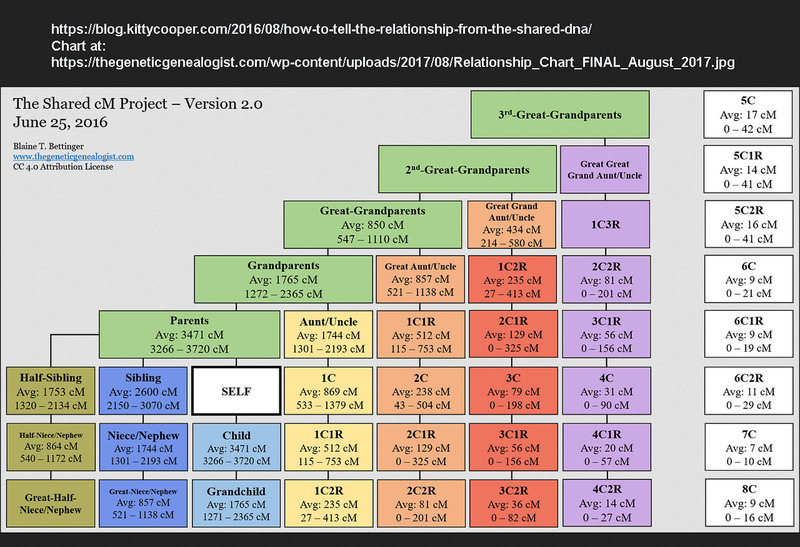 We have been called as it were by our genes. 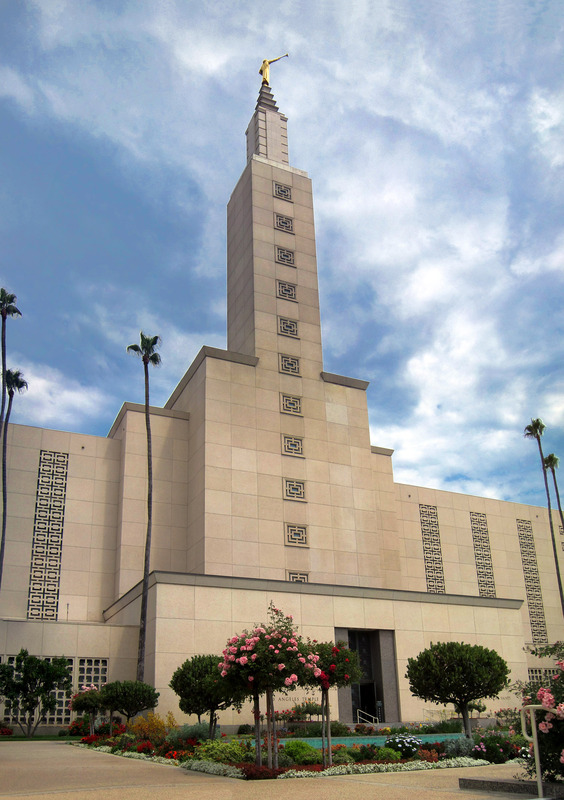 Those who have gone before cry out to us: Tell our story! So, we do. 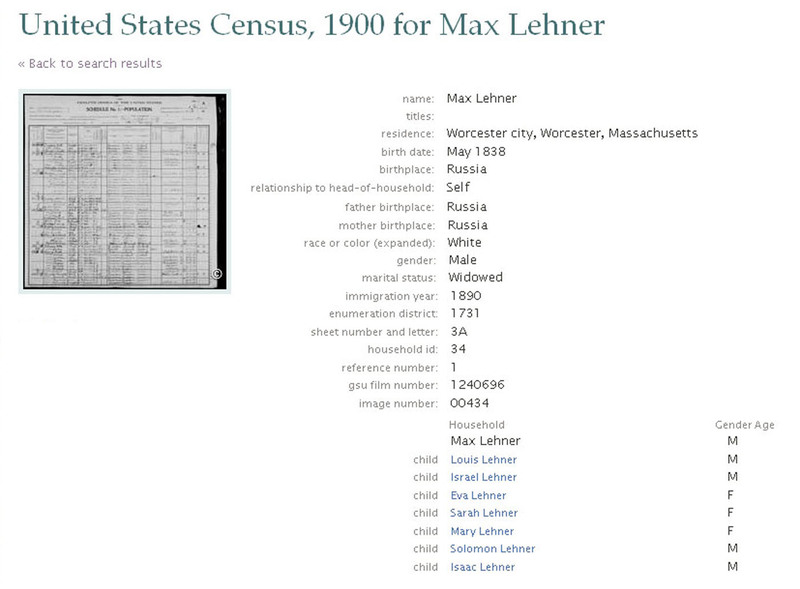 In finding them, we somehow find ourselves ...."
Max ("Menachem") Lehner was a "dealer meats" (butcher) born in Russia (Kiev?) 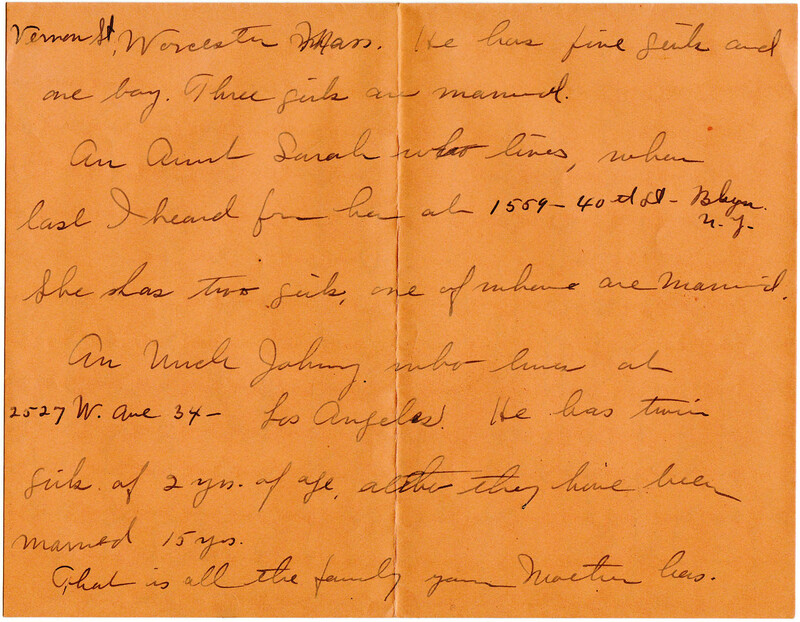 on June 8, 1845 or possibly in 1838. 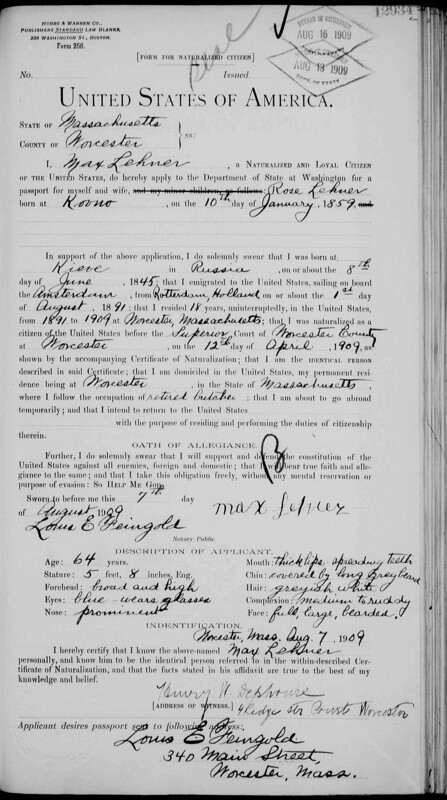 He immigrated with his family to the USA circa 1891 or 1890. 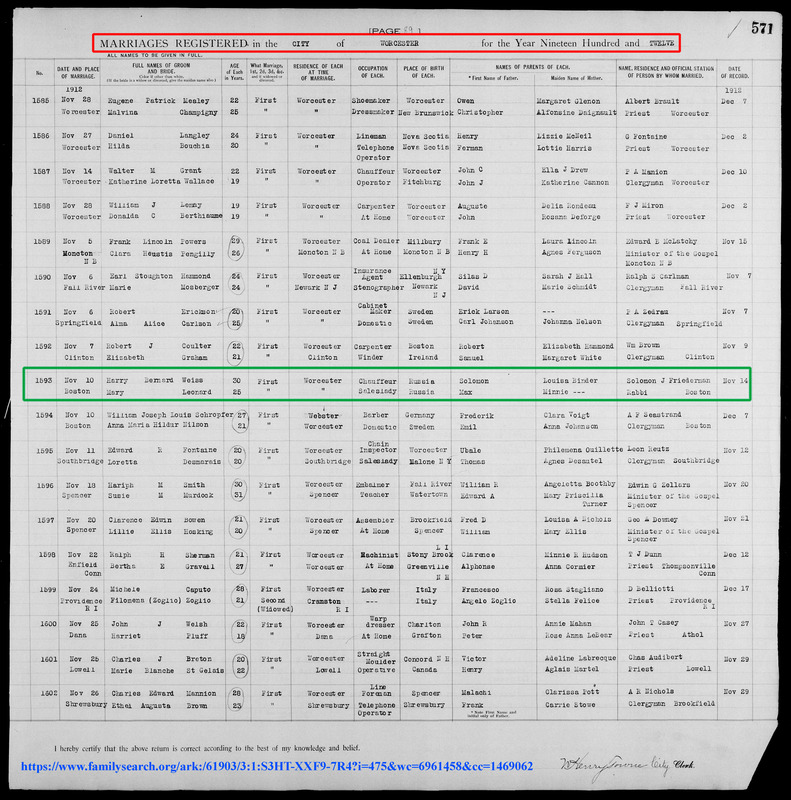 The family residence as of the 1900 US Census, ED1731, was 16 Harrison St., Worcester, MA (aerial view). 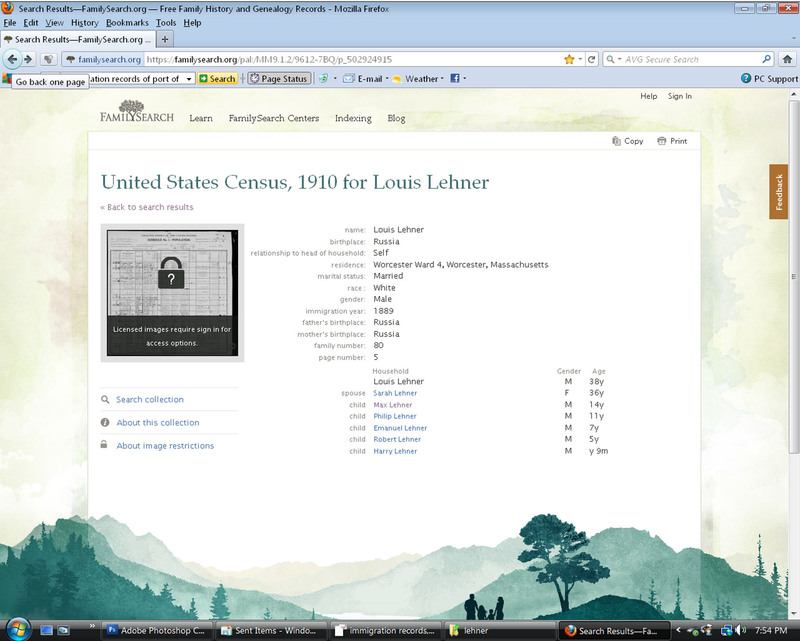 Louis Lehner was the eldest child of Max and Minnie Lehner. 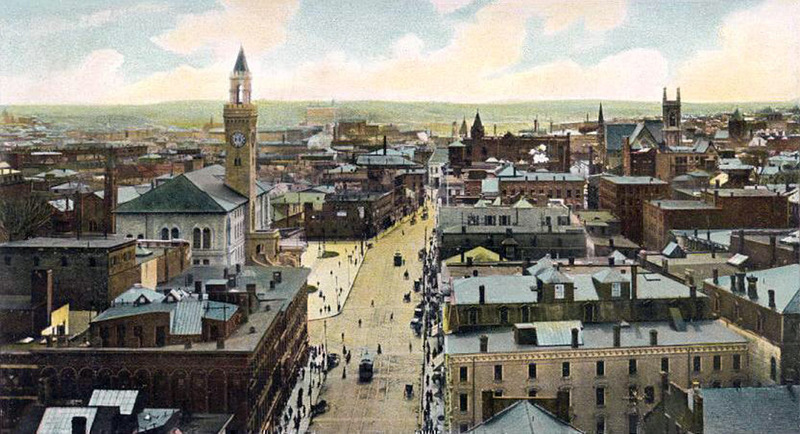 Born in 1872 in Russia. 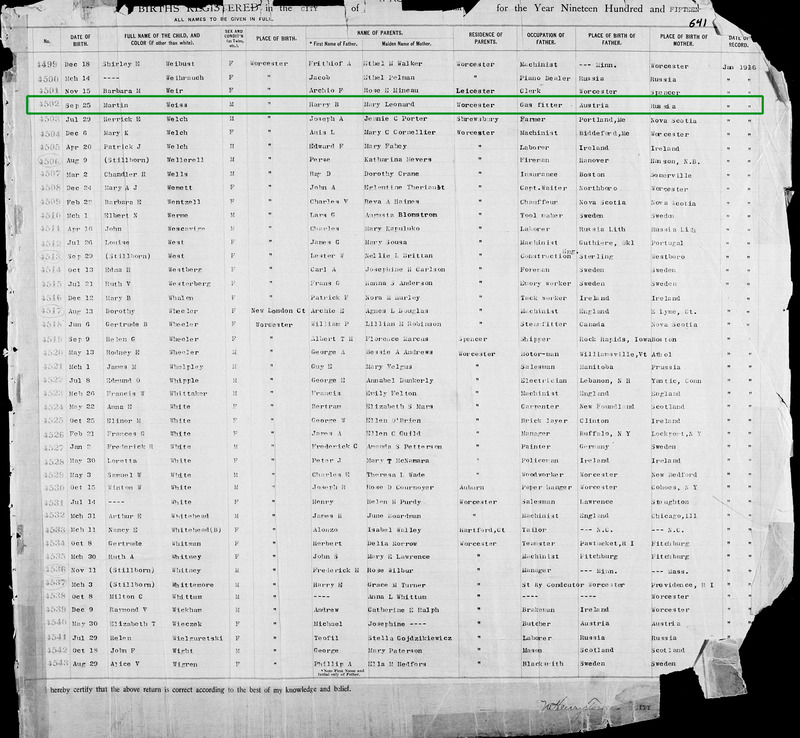 Immigrates to USA: 1889(?). 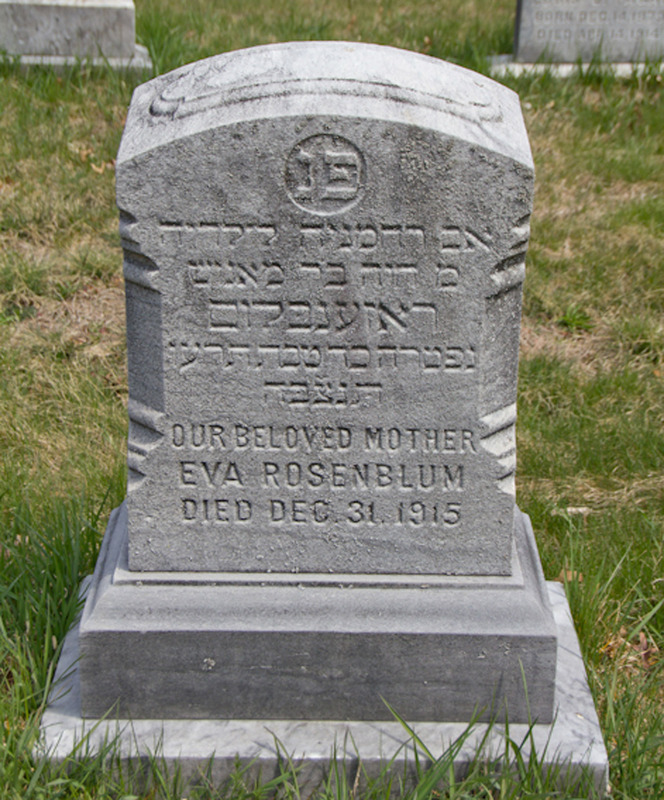 Rosa Rosenbloom Rapport who he married in 1911 and later divorced had a surviving son Joseph Lehner. 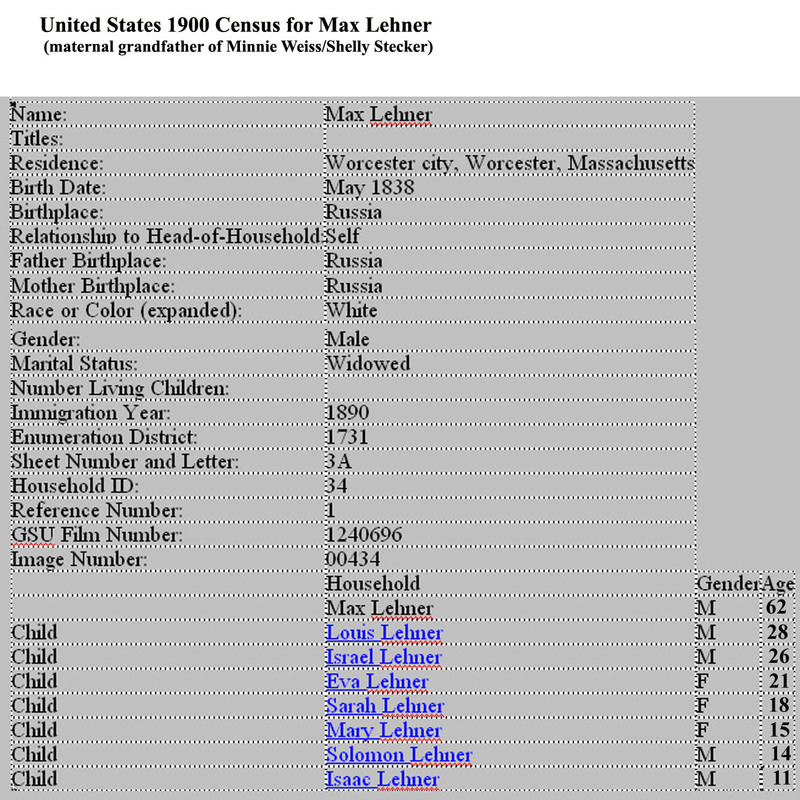 Israel Lehner was the second living child of Max and Minnie Lehner. 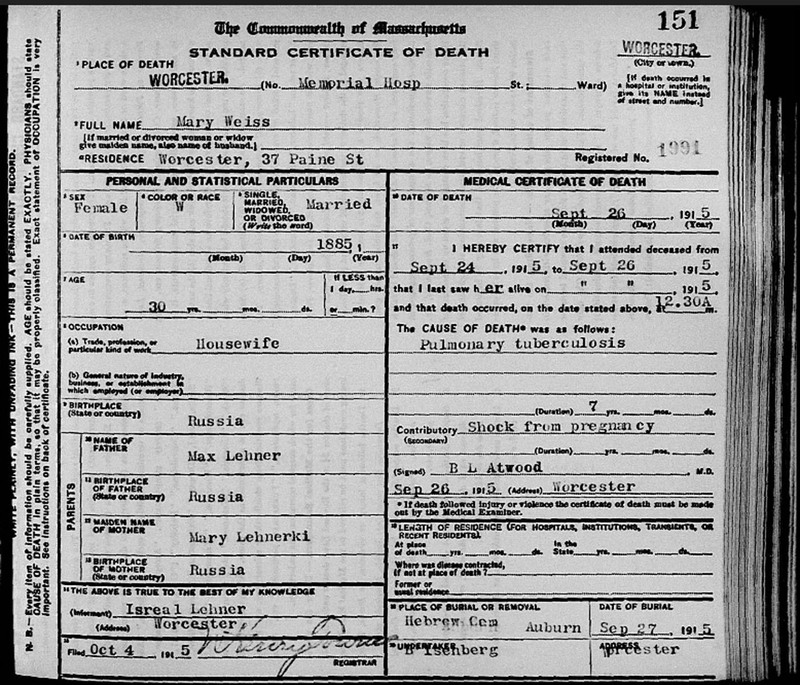 Born July, 1874 in Russia. 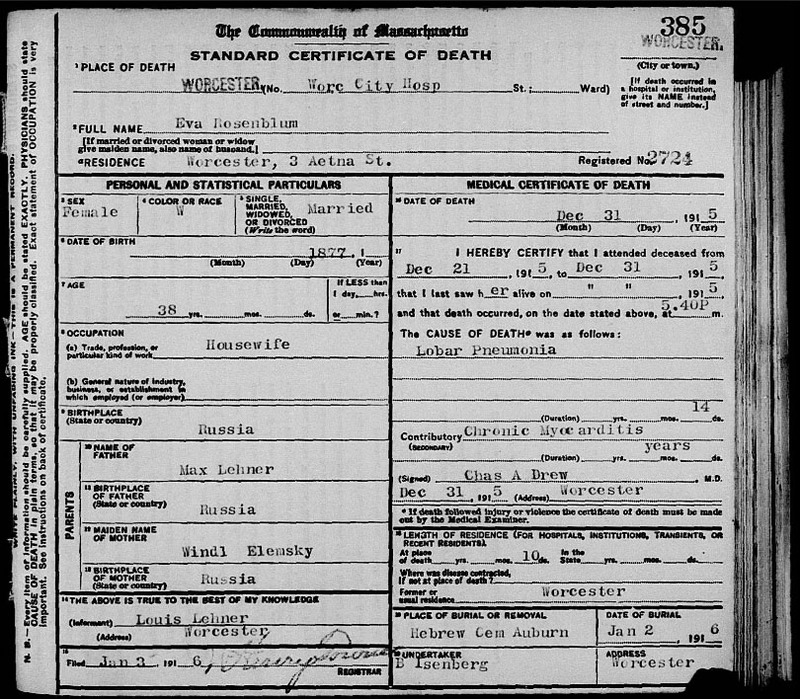 Died December 24, 1960. 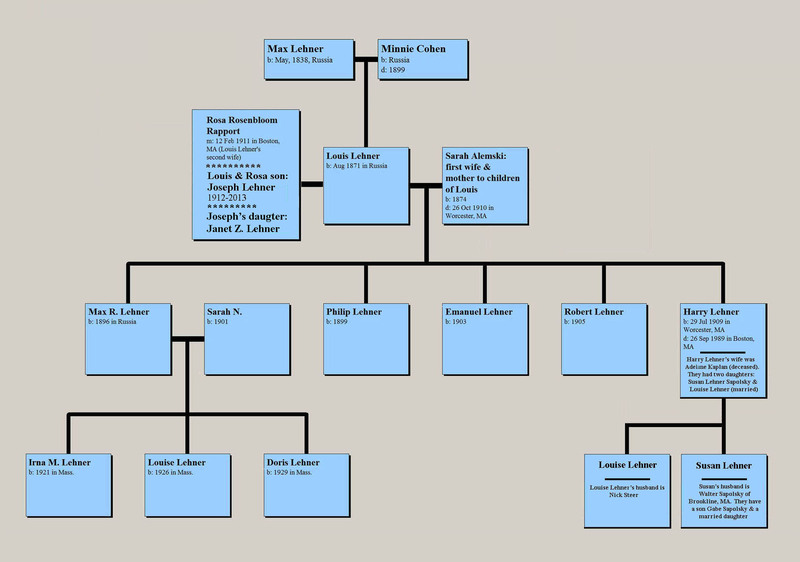 Eva Lehner was the third child of Max Lehner. 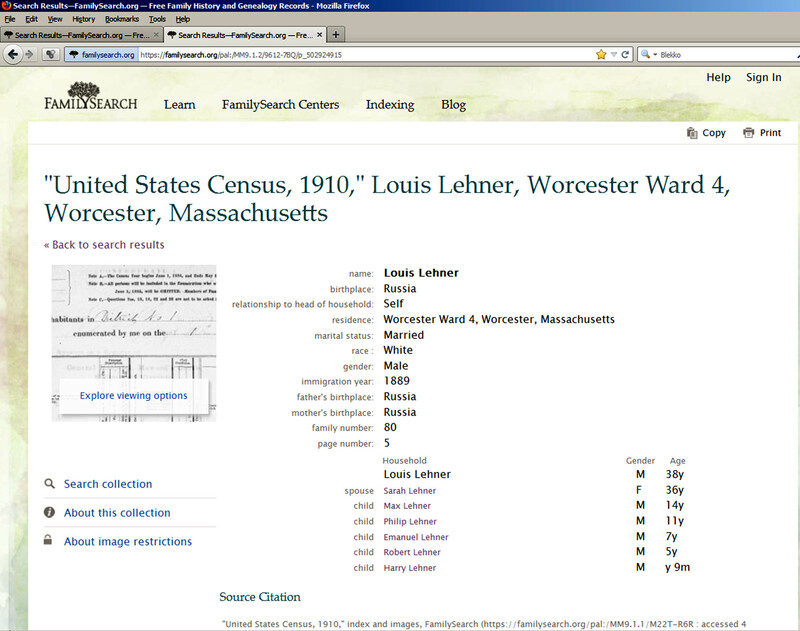 Born April, 1879 in Russia and died December 31,1915 in Worcester, MA. 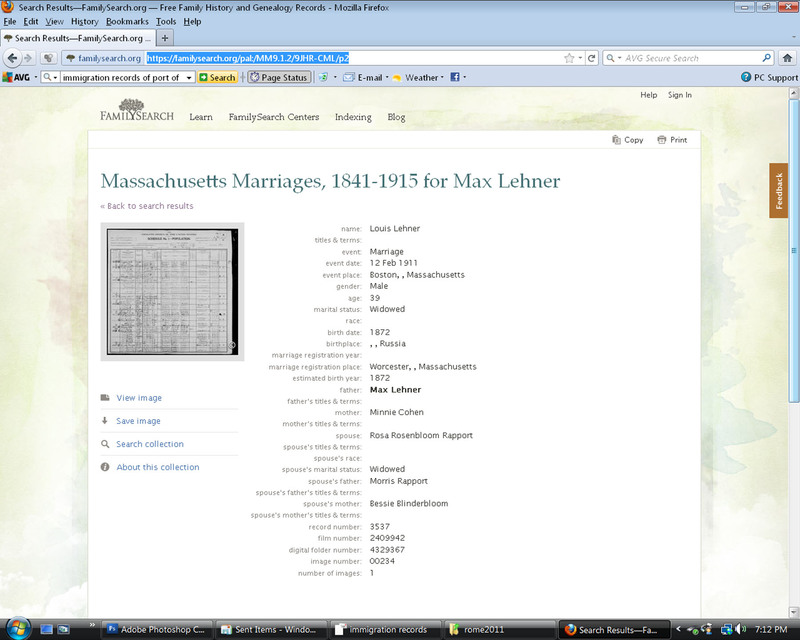 is listed as Max Lehner and witness is Louis Lehner (probably her elder brother). dress & peticoat gift giver Mr. & Mrs. I. Rosenblum. 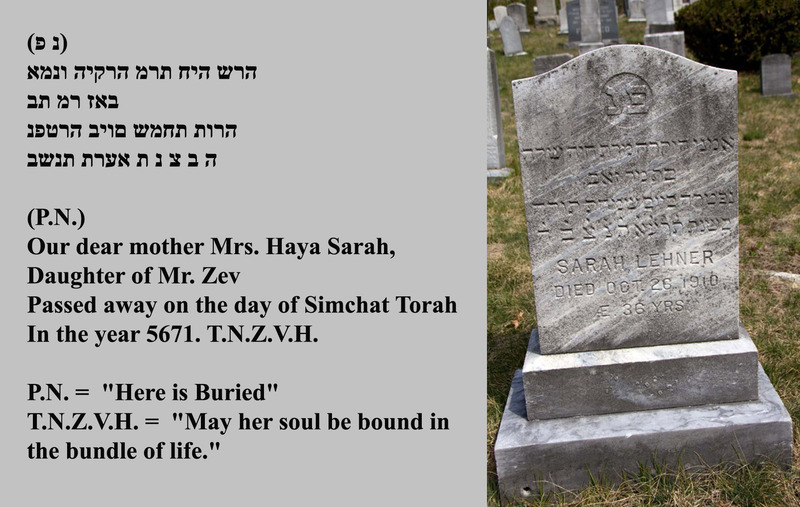 Her gravestone (4, 4a ) suggests she had children. 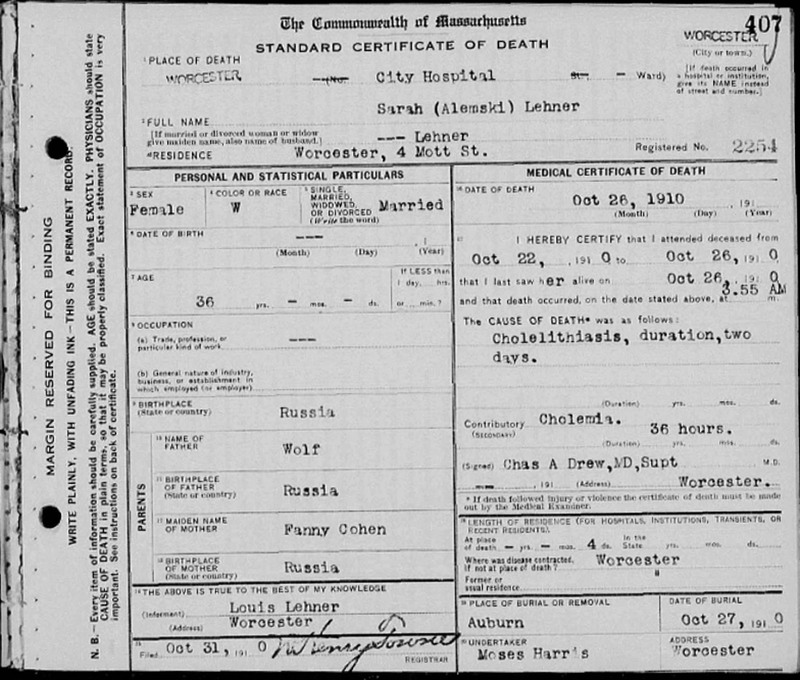 Sarah Lehner was the fourth child of Max and Minnie Lehner. 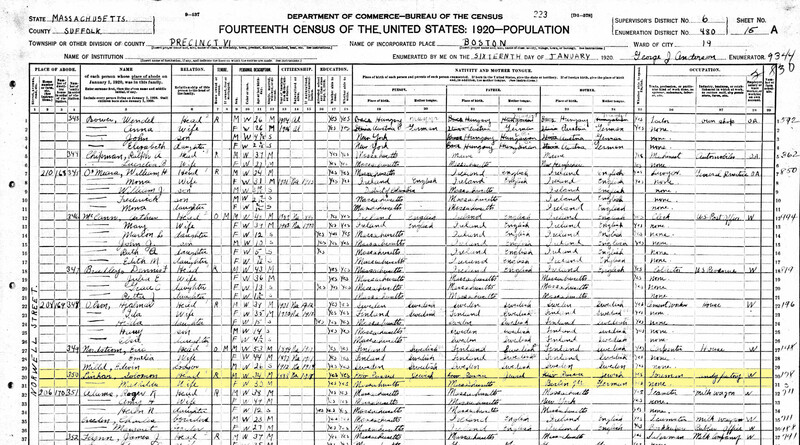 Born: January, 1882 in Kiev, Russia. 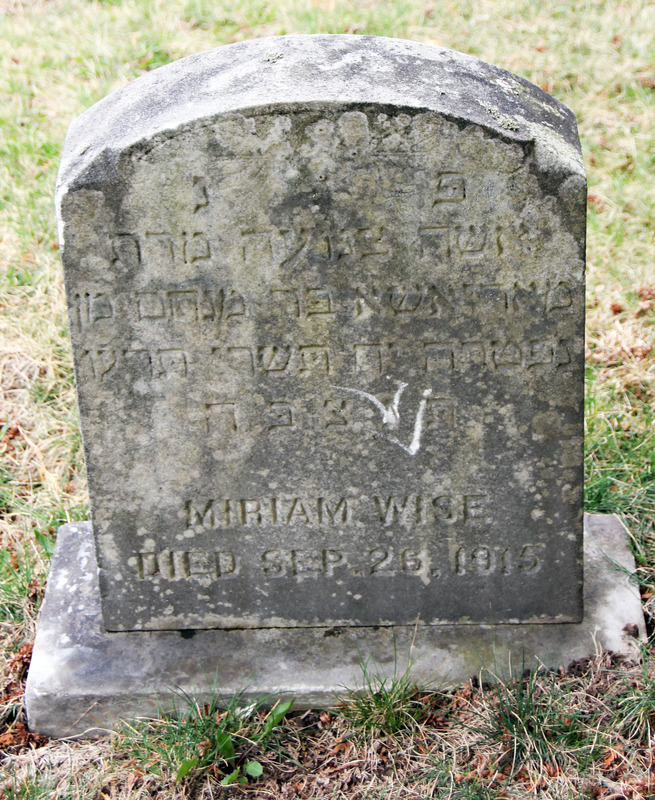 Minnie Epstein married Sydney Cohen (b. July 4, year unknown). Joan Cohen (b 5/17/33). 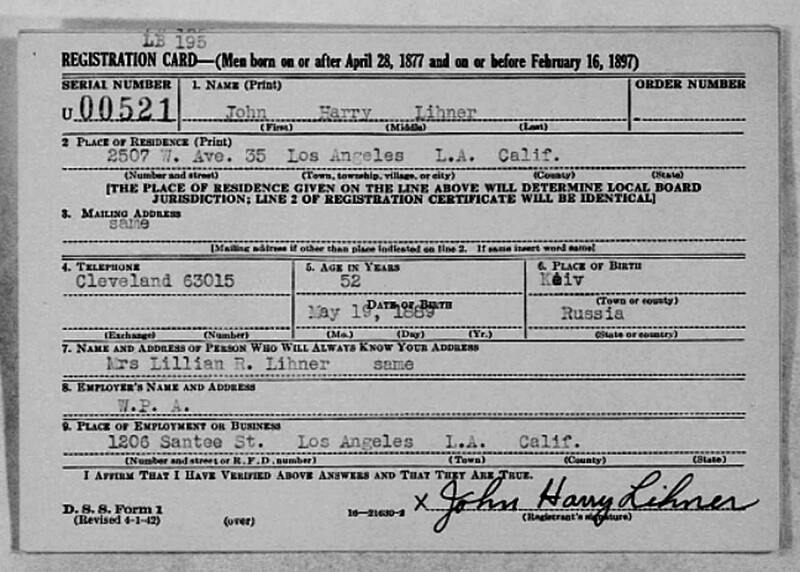 Joan is married to Murray Evans (b 6/28/26) and they have 2 children. Evelyn Cohen (b. ?). 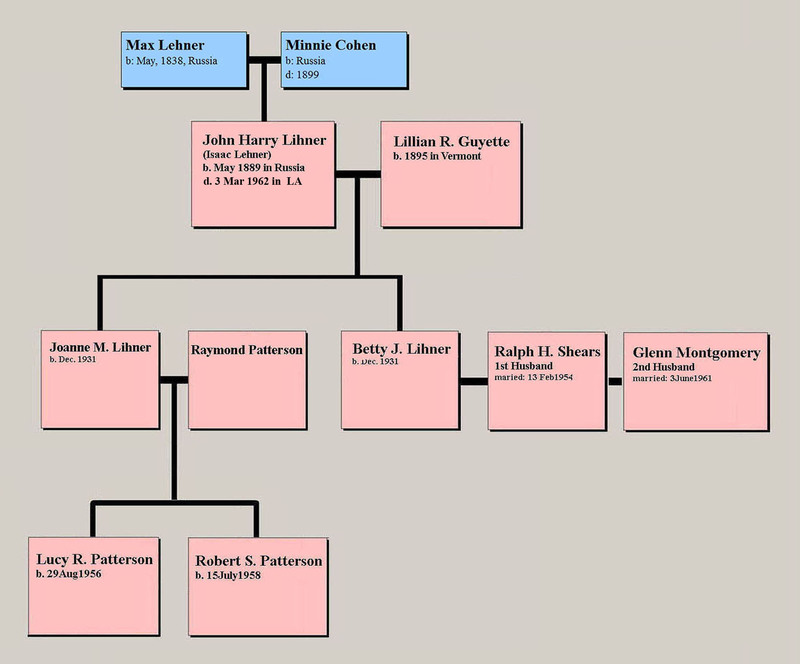 Evelyn is married Martin Coleman and they have 2 children as well. 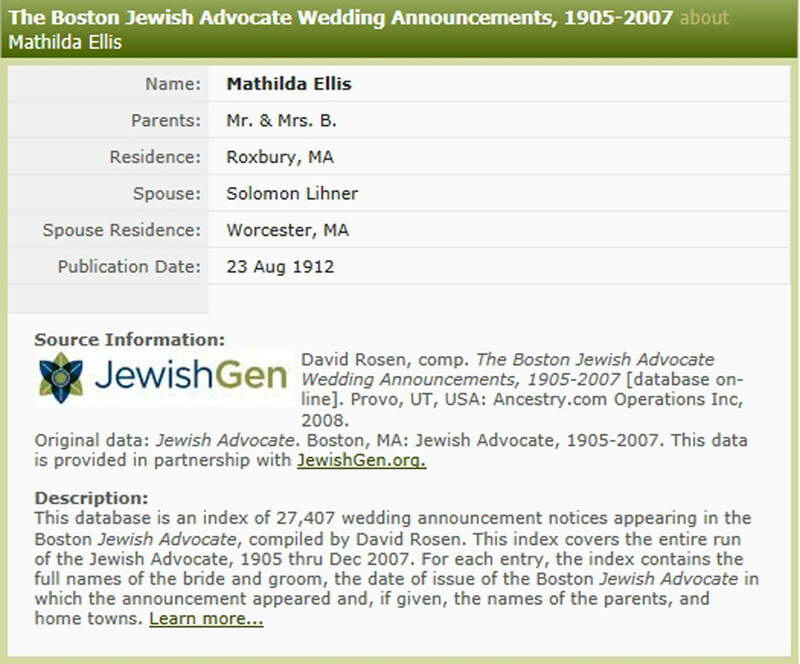 Freda married Solomon Kessler, on December 15, 1934. 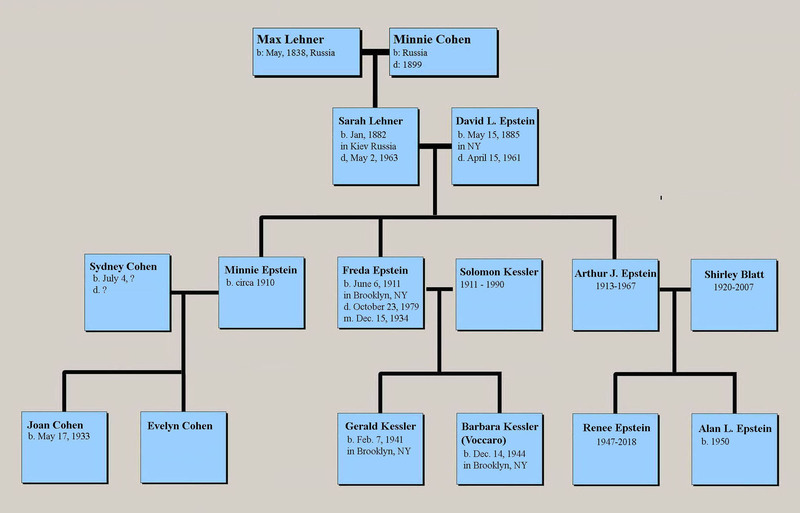 Solomon Kessler was born April 23, 1911 & died March 1, 1990 in Boca Raton, FL..
Barbara Kessler (Vaccaro), b. December 14, 1944 of Brooklyn, NY. Unfortunately, the Kesslers lost touch with them after Arthur died. Gerald Kessler birth date is February 7, 1941 and Andy’s is January 4, 1972. Barbara's birthday is December 14, 1944. June 10, 2004. Both were born in Manhasset NY. 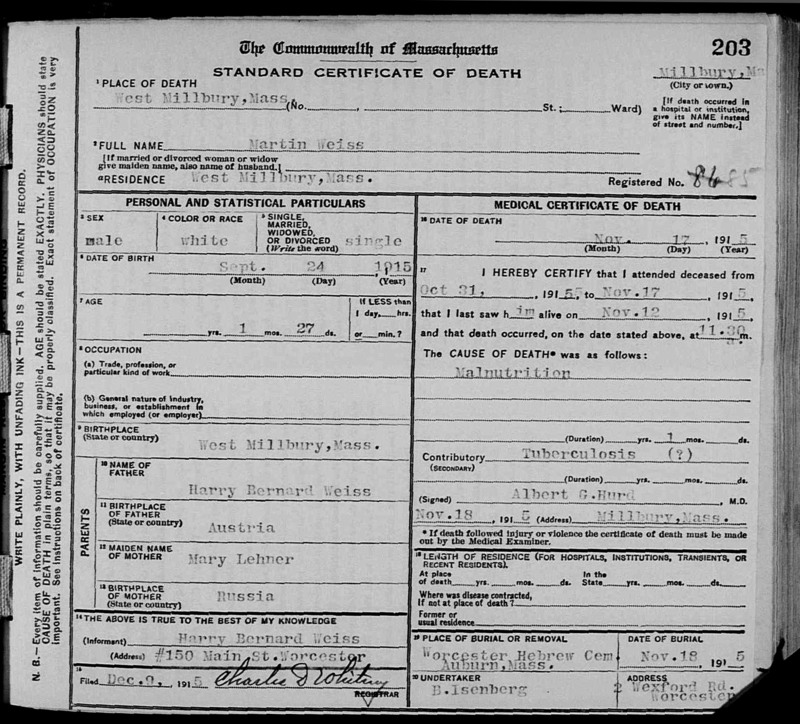 Mary's first child was my mother Minnie Weiss (born February 25, 1914 in Worcester, MA, died December 12, 1982 in California). 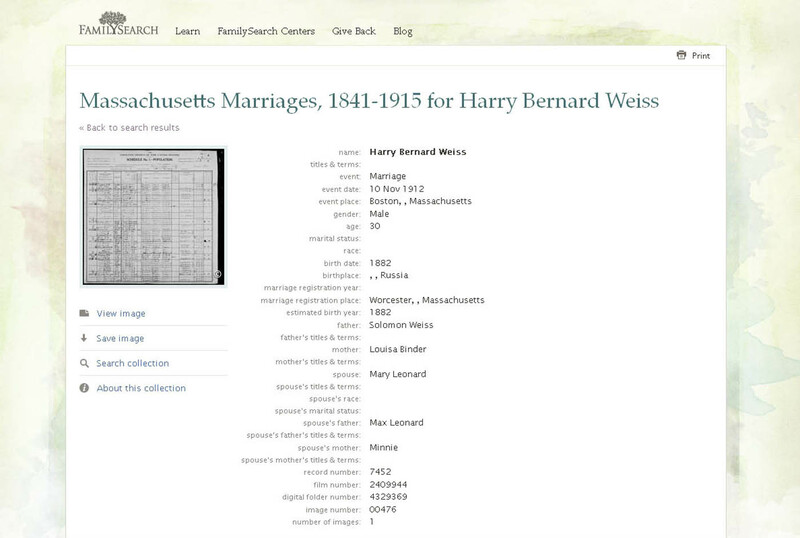 Mary's second child was a boy -- Martin Weiss (born 24 September 1915 in Worcester, MA, died 17 November 1915 in West Millbury, Worcester, MA). 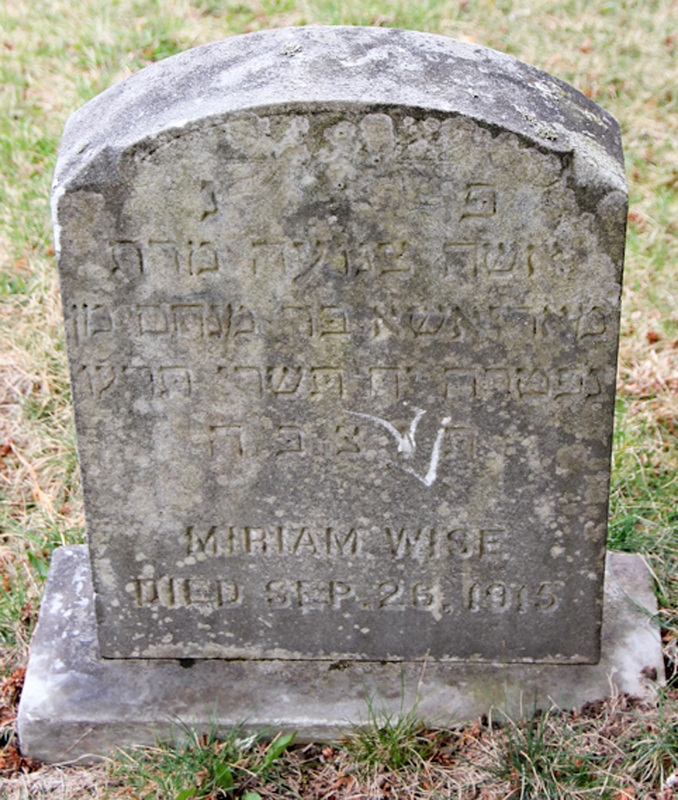 Mary died September 26, 1915 when my mother, Minnie Weiss, was less than two years old. 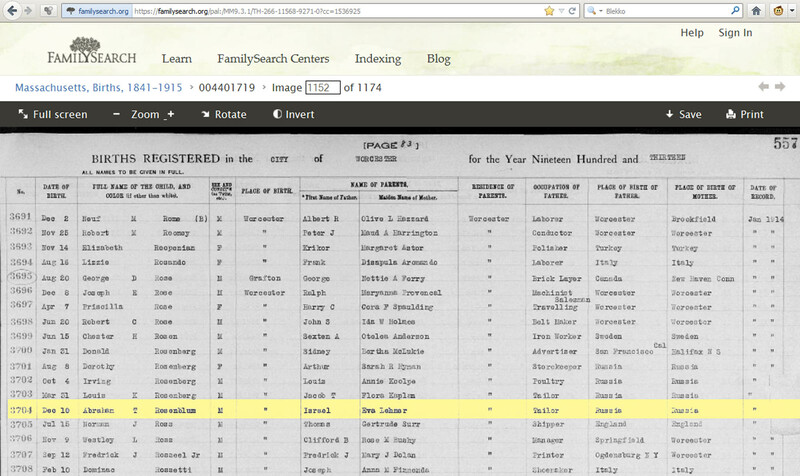 My mother Minnie (later changed to Shelly) married Samuel L. Stecker. 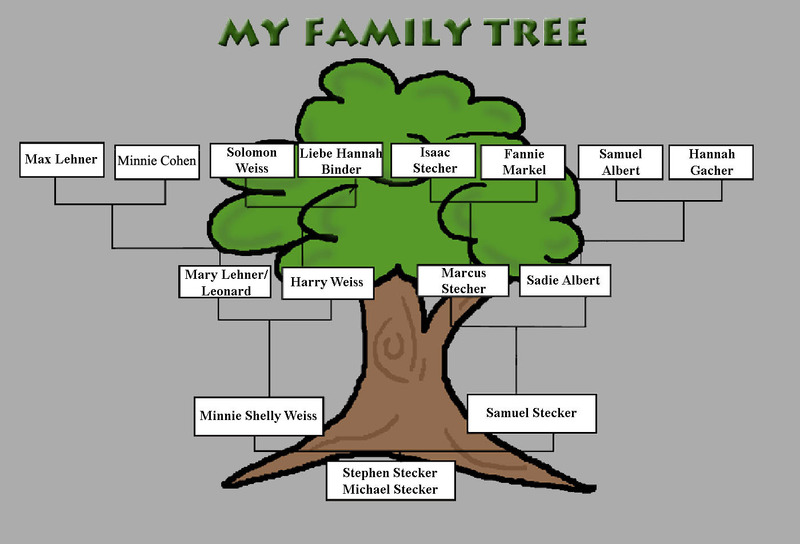 Minnie Weiss (Shelly Stecker) died on December 12, 1982 in Chula Vista, CA. 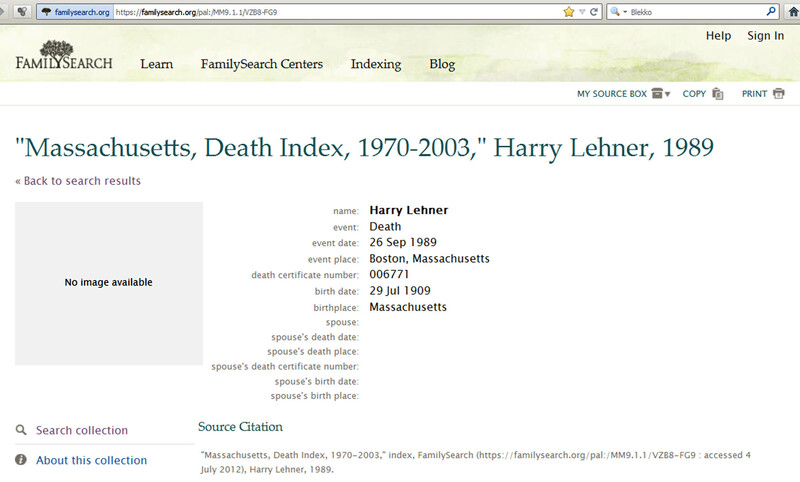 She married Samuel L. Stecker and had two children -- Stephen Leonard Stecker and Michael Alan Stecker. 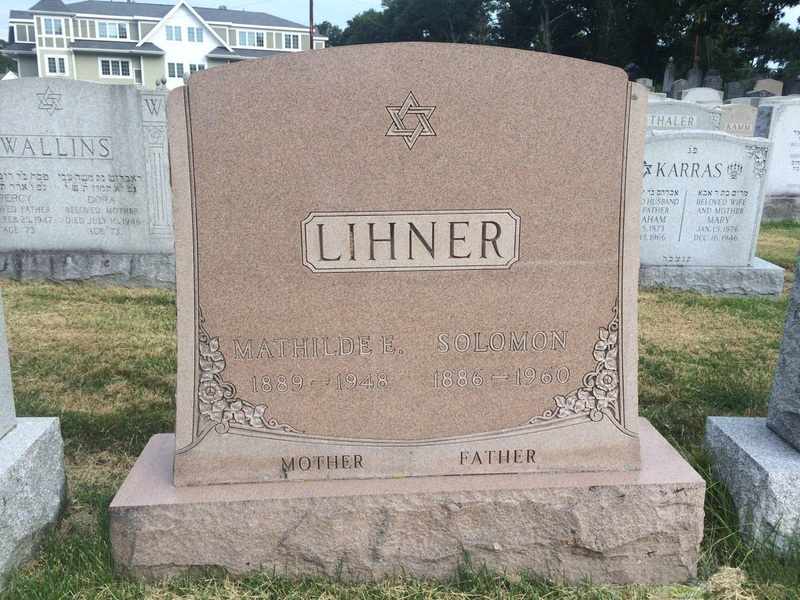 Solomon Lehner (later Lihner) was the sixth child of Max and Minnie Lehner. 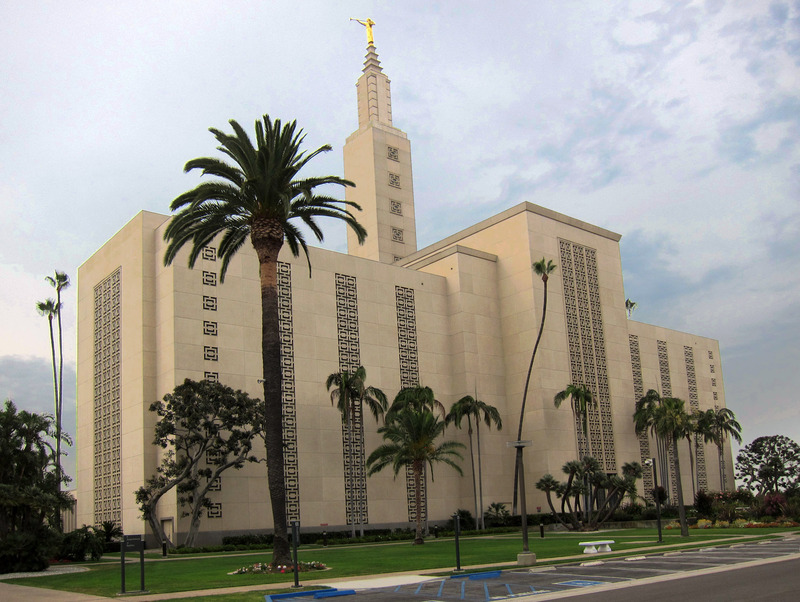 Born: April, 1886 (or possibly December, 1885) in Kiev, Russia (5). 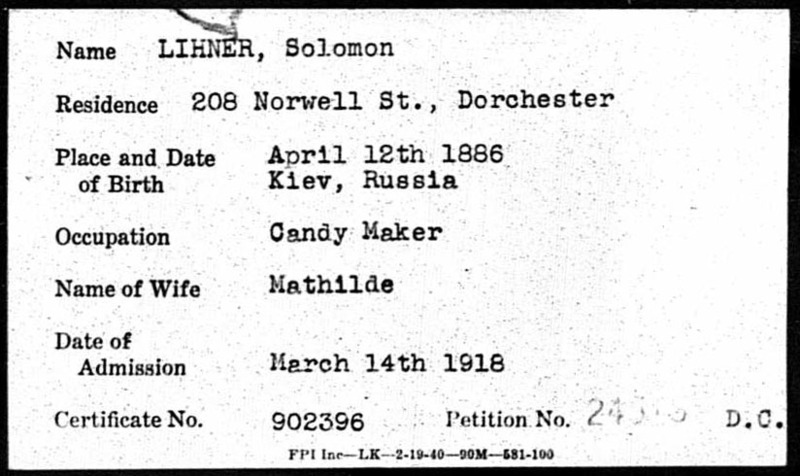 Solomon Lihner of Worcester, MA married Mathilda(sp?) 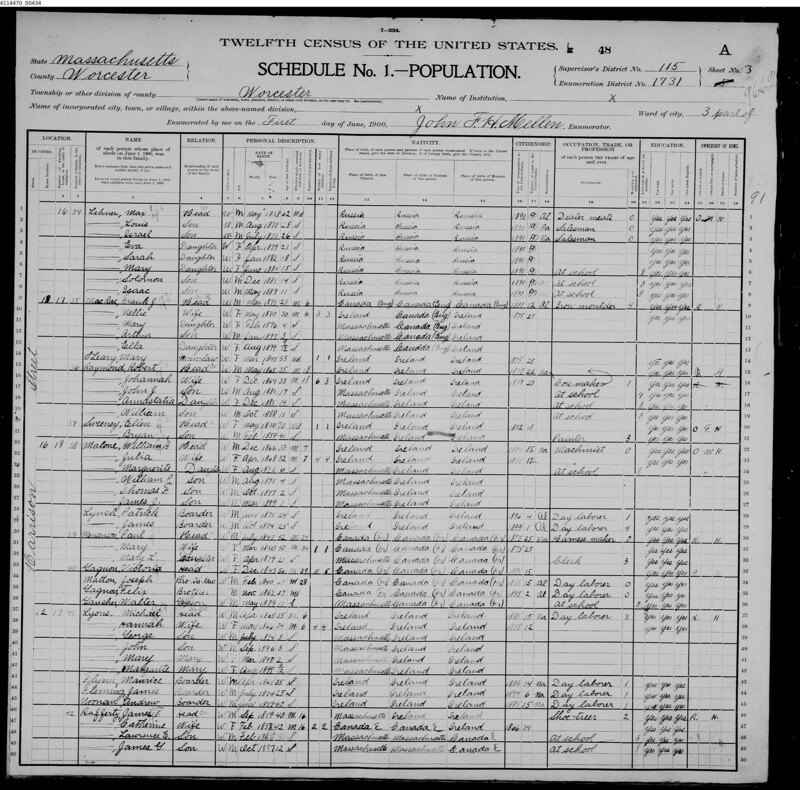 Ellis (line 42) of Roxbury, MA in 1912 (6 , 8, 8a). 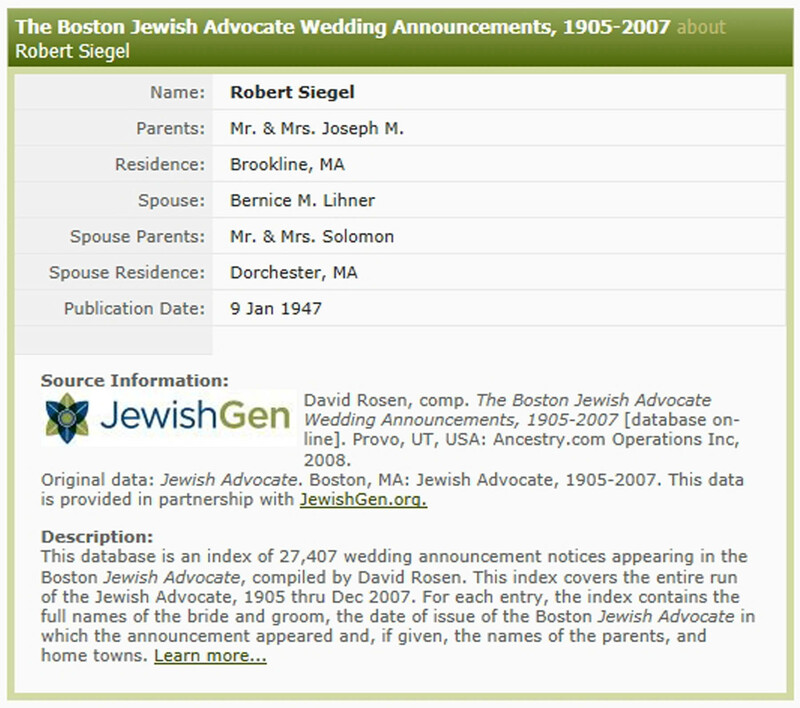 Bernice of Dorchester, MA married Robert Siegel (7), son of Mr. & Mrs. Joseph M. Siegel of Brookline, MA in 1947.
and lived in Los Angeles, California.